Looking back over the last year for the past few days has been fun, but it’s also been a bit of an eye-opener for me. 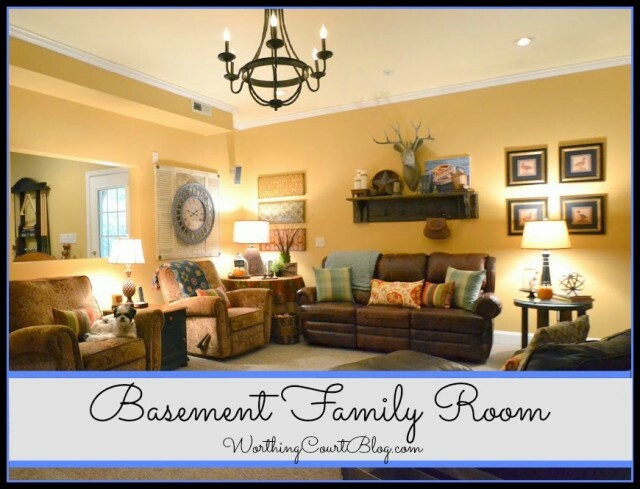 It took several months and many diy projects, but a makeover of my basement family room was loooong overdue. Checking it off of my list was a day to celebrate! As with everything I do, this room was madeover on a budget. I used some tricks that I had up my sleeve for ‘making do’ with the existing paint color and less than desirable furniture that I already own. 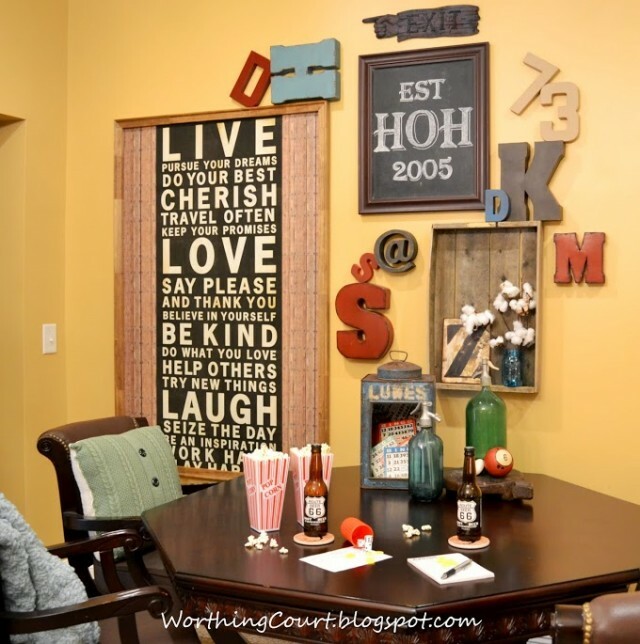 There were several diy projects that went into this room makeover. You can see them all by clicking HERE. Part of putting the family room together was creating a typography gallery wall. I had been collecting all of these items for months and didn’t quite know how to put them all together until I was inspired by a picture in a catalog. 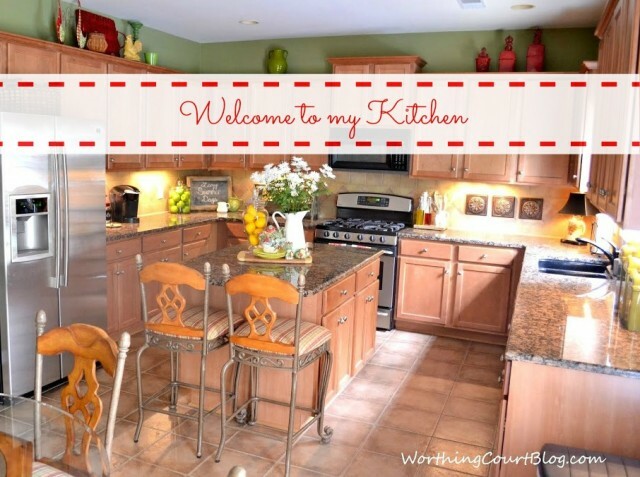 You may have seen my kitchen before, but I got a little mushy and shared some of my personal side when revealing more about it in this kitchen tour. 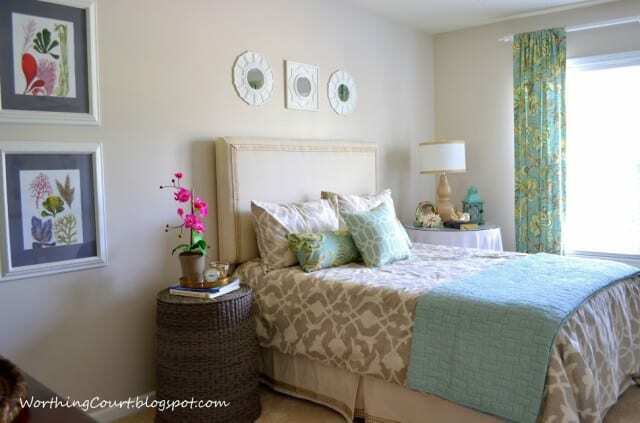 I started on the makeover of one of my guest rooms and showed you how to think outside of the box when it comes to nightstands. 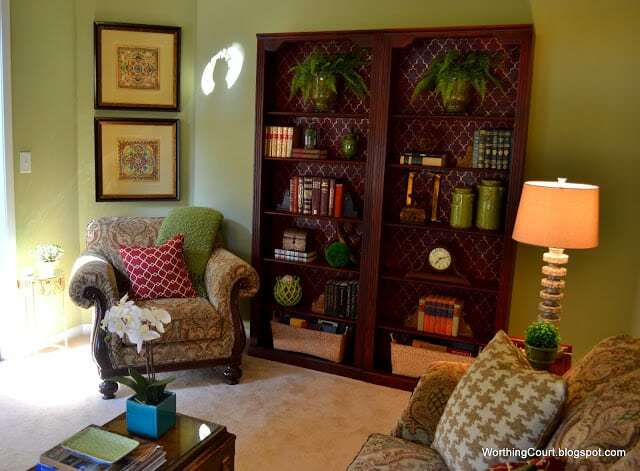 I got tired of staring at my dark and heavy bookcases in the main family room, so I restyled them for a lighter, brighter and updated look. 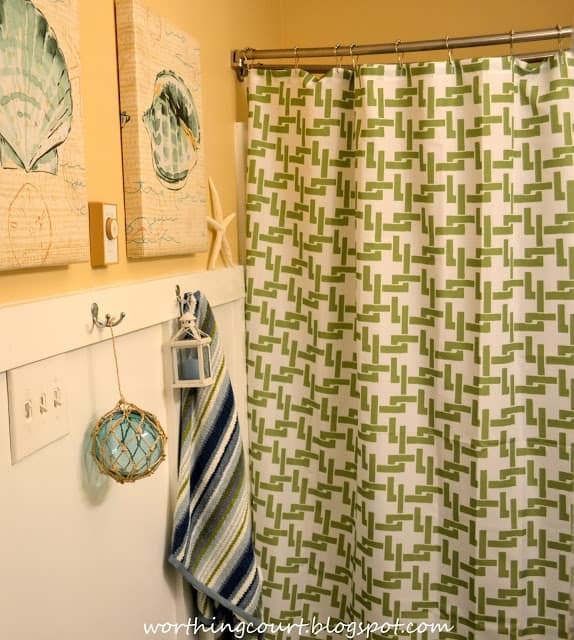 After the reno, the bathroom in our beach condo was looking a little blah so I gave it a little beachy vibe update. 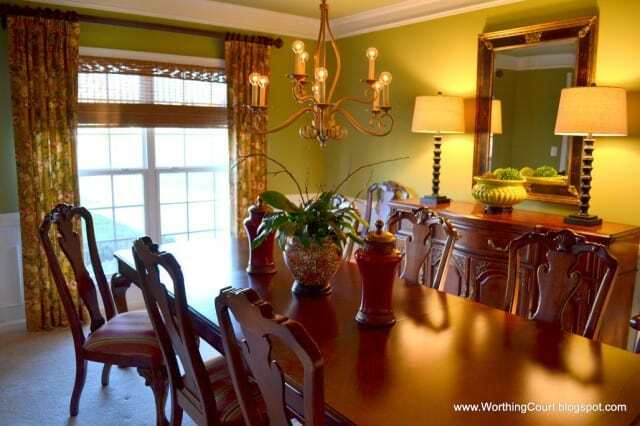 A wall of faux wainscoting really made a difference along with all of the new accessories. 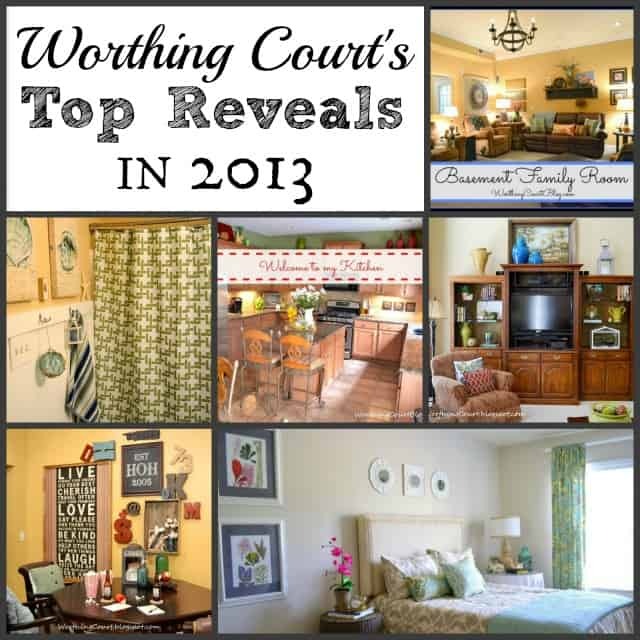 Here are few more room reveals that were completed prior to this past year that you might be interested in too. So how about you? Do you feel like you accomplished everything that you wanted to in 2013? Suzy, you had a great year and great projects. I love everything as always. Happy New Year!! All great projects Suzy! Yes, I also accomplished a lot in 2013. It doesn’t seem like it at the time, but looking back a lot got done! Happy New Year! Suzy, all of your updates turned out beautifully. Your home is so comfortable, warm and inviting. Can’t wait to see what you do next! 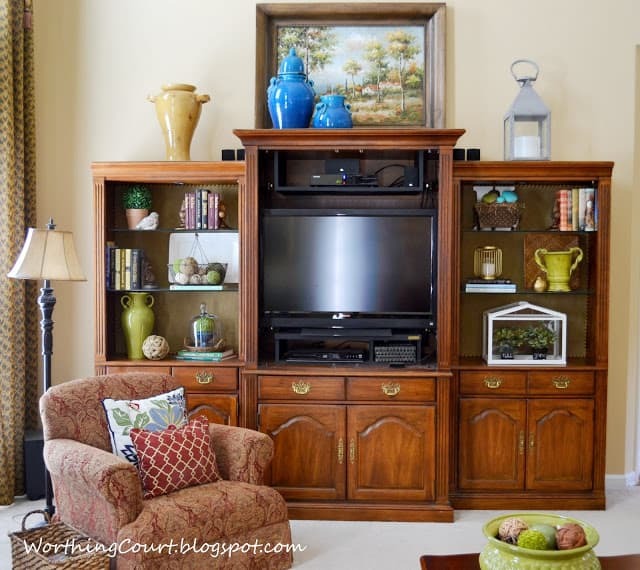 I updated a lot in my house during 2013–from painting the dining room, a new rug in there as well to re-upholstering chairs in my sunroom and investing in some beautiful art work for many rooms in our house. So we got a lot done too! Happy New Year.